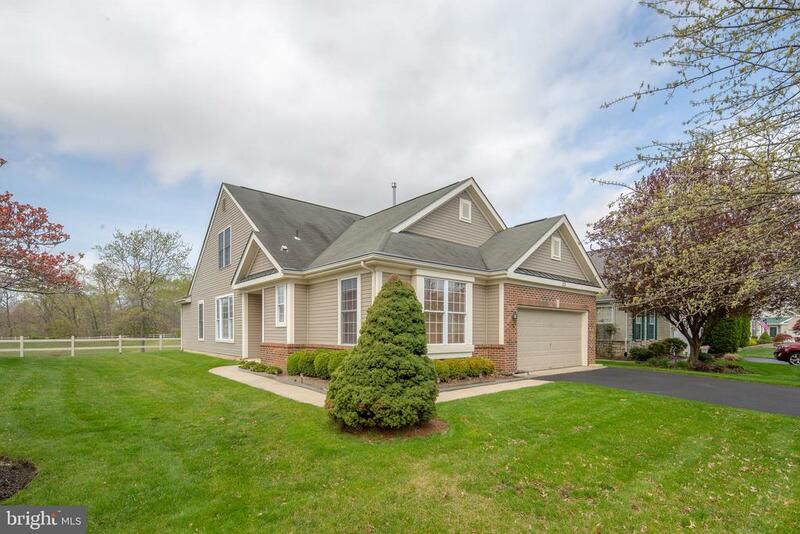 All Hainesport homes currently listed for sale in Hainesport as of 04/22/2019 are shown below. You can change the search criteria at any time by pressing the 'Change Search' button below. If you have any questions or you would like more information about any Hainesport homes for sale or other Hainesport real estate, please contact us and one of our knowledgeable Hainesport REALTORS® would be pleased to assist you. "Imagine, The Unparalleled Lifestyle Of Scenic Water-Front Living!! Set On A Cul-De-Sac, This Magnificent Contemporary Features A Dramatic Foyer Entry; Glistening Hardwoods; Bay Window Dining Room; Sensational Granite Counter, Center-Isle Kitchen w/Rich 42 Cabinetry, SS Appliances, Gas Cooking, Butler Pantry; Fully Opening To A Soaring Ceiling Family Room w/Stone Fireplace Framed By Palladian Windows, Sound System And A Back-Staircase; Huge Poured-Concrete Basement With All Its Finishing Possibilities; 1st Floor Library; Double Door Entry Master Suite Offers A Glamour-Bath, Sitting Area And A Walk-In Closet; Extra-Spacious Secondary Bedrooms Each Having Abundant Closet Space; The Scenic Back-Landscape, Highlighted By Its Vast Paver Patio Is Perimeter Fenced; Dual Zone HVAC... Absolutely Stunning!! * Be Sure To Click The 3-D Virtual Tour Button *"
"Spacious- desirable Creekview! 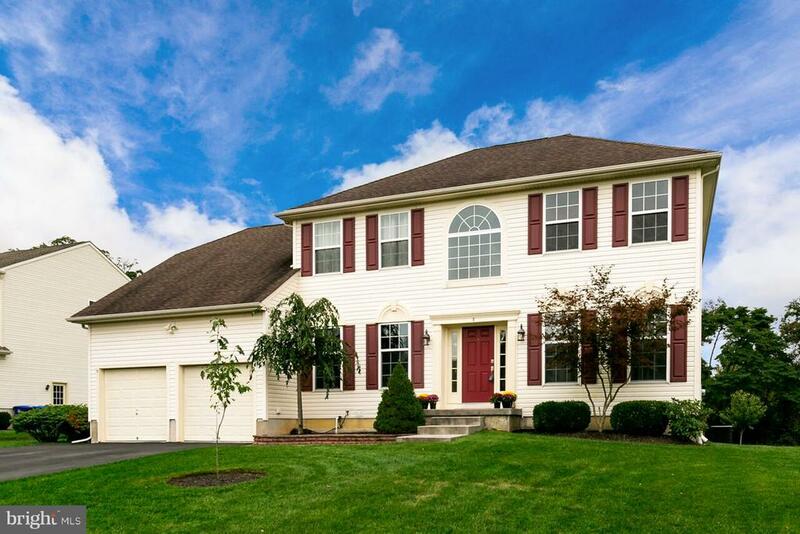 This 4 BR, 2 1/2 BA, 2-story Colonial nestled on one of the largest lots. Fully Solar Powered home. Panels all hidden on the back roof. (this house does not have an electric bill) Beautiful 2-story foyer entry, brand new carpets through out the main floor and upstairs hallway. Family room includes vaulted ceilings, gas fireplace w/marble surround, pre-wired surround sound, as well as back staircase. Eat-in Gourmet kitchen features Double oven, new stainless steel gas cook top w/customized vent, refrigerator, microwave, dishwasher, double sink, ceramic backsplash, recessed lighting Super size walk in pantry. Study room is just off the kitchen. The laundry room features extra large washer & dryer. Renovated 1st floor powder room. Huge 2nd Floor Master Suite offering double doors, trey ceiling, sitting area and walk-in his and her closets. Master bathroom has double sinks, soaking tub, shower, and tile floor. There are 3 More generously sized bedrooms with walk in closets & 6 panel doors. Hall Full bath with double sinks & linen closet. Also featured is a huge un-finished full basement w/ extra high ceilings. Energy efficient 2-zone HVAC. Brand new Pella sliding glass doors to brand new ~30 by ~17 fully illuminated (maintenance-free) Trex deck. Gorgeous EP Henry Paver steps and walk way. Newly installed paver edging in backyard (garden bed), new hardscaping path connecting to deck and ramp down to the shed, Fenced in yard. Large 2-car garage w/openers. Exterior Stucco has been inspected with no issues. (November 2018) Bonus- 1 year old swing set!" "SPECTACULAR in SAGE RUN! 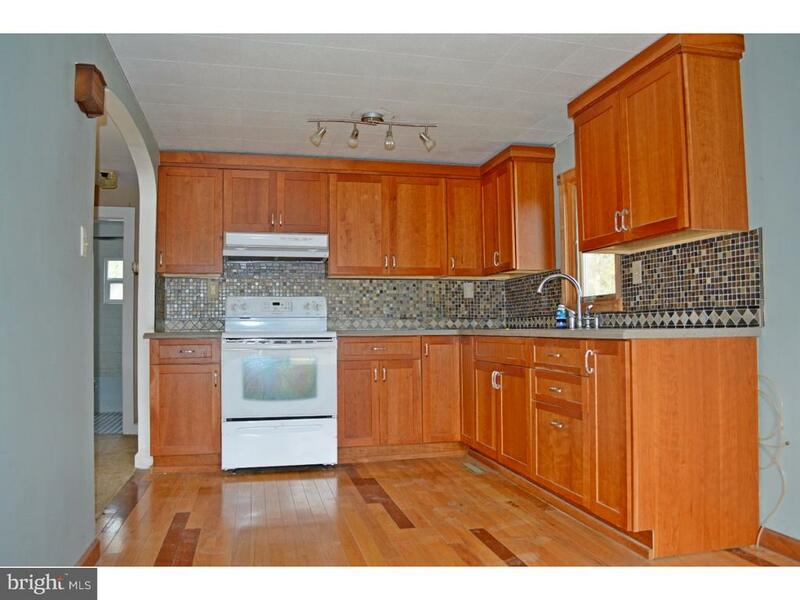 This stunning 3 bedroom, 2 full, 2 half bath customized home sits on a premium lot with privacy. Enter through the newer, wood double doors into this meticulously kept home with a stunning foyer with sprawling staircase, beautiful chandelier and hardwood floors. Turn left to find the living room with wainscoting, crown molding, chair rail, fireplace and custom windows. All windows in the home are double hung. Through the living room, enter the dining room with more hardwood, ceiling molding, wainscoting and a custom bay window. The large, eat-in kitchen has stainless appliances, custom backsplash, granite counter tops, ceramic floor and a built in desk area also made of granite. All bedrooms are spacious with casing and chair rail. This home currently has 3 bedrooms with the 4th converted into an office. The office can easily be converted back into a 4th bedroom. The home has plenty of recessed lighting, ceiling fans and special touches. Upgraded bathrooms with granite and tile flooring. A mostly finished, extended basement with a vent-less fireplace and half bath offers another area for entertaining as well as lots of storage. Outside, a beautiful oasis has been created with gorgeous landscaping, a coy pond, a newer Pergola with awning, stamped concrete and vinyl fencing. There is also a sprinkler system. Newer garage doors (3) and outside lighting all around the property. Newer HVAC with a 12 year transferable warranty. Newer GAF roof with a lifetime warranty. This home will take your breath away." "Gorgeous three year old Paparone built home in Hainesport! 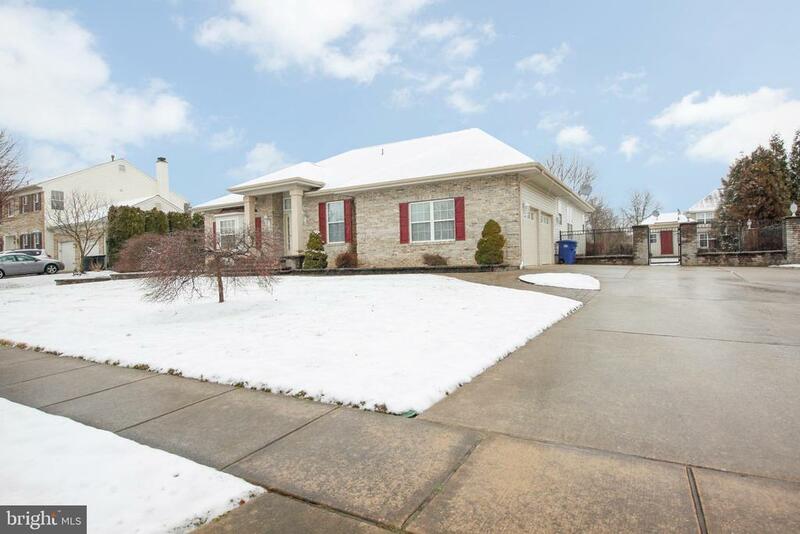 This home is perfectly situated on a cul de sac location and has loads of upgrades! There are 7.5~ plank vinyl floor boards throughout the entire first floor and throughout the home you~ll find recessed lighting ,fresh neutral designer paint colors and custom plantation shutters in every room! 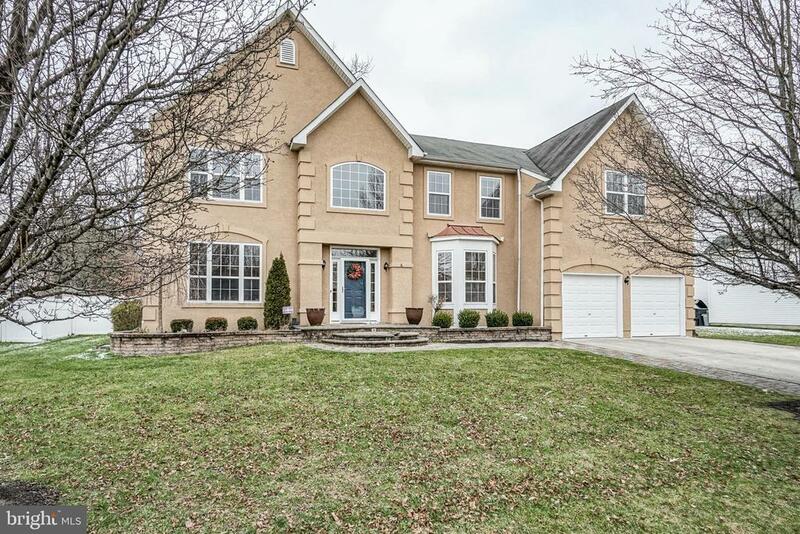 Just off of the two story foyer is a formal dinging and formal living room. The kitchen is fantastic with upgraded white cabinetry, quartz counters, stainless steel appliances, upgraded appliances, walk in pantry, center island with seating and large breakfast area. The kitchen is open to the large family room with gas fireplace. There is also a first floor study off of the mud room area for quiet and privacy. Upstairs are four large bedrooms including the master suite with his and hers walk in closets, tray ceiling, sitting area and an ensuite bath with quartz counters, custom tile, frameless shower doors and his and hers sinks. All of this plus a full basement ready for finishing and a large trex deck on back. Nothing to do but move in! Make your appointment to see this great home today!" "Exquisite 3341 sq. ft. lake front home with over $150,000 in upgrades during ownership and features 4 bedrooms, 2 1/2 baths, open two story foyer with marble floor, dual staircase center hall, formal living room & dining room, gourmet kitchen has upgraded 42' cherry cabinets with granite countertops, desk area, island, stainless steel appliances with a 5 burner gas range and newer backsplash. New Pella slider with hidden roll back screen leading to lighted Trex deck & hardscape paver patio and a storage shed. Enormous master suite with sitting area and a Closet Gallery walk-in closet with a window and new carpet. Newly remodeled master bath with shower enclosure, heated flooring, soaking tub, recessed lighting and granite top vanity. Two story family room with fireplace, newer floors. First floor study, full basement, 2 car garage with insulated carriage style doors,finished floor,new steps into the home and a wall system. First floor 9 ft. ceilings, custom window treatments, upgraded lighting and ceiling fans, newer hot water heater and damper 2 zone heat & central air. A spectacular view of the of the lake from most of the windows in the home and it is situated on a private .33 acre cul de sac lot.6 panel doors & more! Currently living room is being used as an office. Additional room on first floor can easily be used as a 5th bedroom, office, craft room, media room, workout room, play room, etc. Recently painted throughout, all fixtures upgraded. French doors add a fantastic touch on living room or office space." "Every once in a while a home comes on the market that offers everything - Location ~ condition ~ price! Welcome to 3 Jennie Court in the The Reserve at Beacon Hlll located in Hainesport Township. Our featured home is the open and spacious Ashford Model with numerous upgrades. The exterior of this home is beige vinyl siding accented by maroon shutters. There is a paver wall for the front flower bed. The impressive foyer entrance displays the beautiful chandelier and Palladium window. Throughout the downstairs you will find Gunstock hardwood flooring with 6 inch baseboards. The living room flows into the dining room and the walls are painted in all of today's beautiful colors. The dining room chandelier is included. Dining for 12 is no problem here. Dare to fall in love with this gourmet kitchen boasting 42 inch maple cabinets with granite counter-top. The double ovens are about 2 years old. Recessed lighting adds ambiance to the kitchen. Off the kitchen is the morning room with plenty of windows to allow to the sun to shine on in. Sliding glass doors lead you to the trex landing and steps and the 20x22 stamped concrete patio. The two story cathedral ceiling family room is the hub of the home. Gather the family around the wood burning fireplace on those chilly nights. Additional lighting from the two skylights adds charm to the room. On this level you will find the 1st floor office or study, laundry room leading to the 2 car garage and the powder room. Bring the king sized furniture to this Master Bedroom ~ the walk in closet is massive. Off the Master Bedroom is the Master bath which offers Jacuzzi tub with jets, double sinks, stall shower and linen closet. The other three bedrooms are good in size and ready for your furniture arranging. There are pull down attic stairs in one of the bedrooms. If you are bringing your family dog, you'll be happy to know there is an invisible fence with 2 collars which will be included. With the 3300+ square hea"
"Turn the key & move right in! Over 4,500 SF of comfortable living space in this traditional home at Creekview in sought after Lakeside. A refreshing interior welcomes you w/newly painted walls & trim, new carpeting, glistening HW flrs & updates galore! The LR&DR boast calming & neutral tones. Wainscotting molding in the DR & crown molding in the LR are aesthetically pleasing. Gourmet EIK is fit for ent! Granite counters, new light fixtures, state of the art appl, all boasting a chic flare! French doors in the sep. dining area make way to the den naturally lit w/sunlight. Built in shelving in a rm off the kitchen is ideal for a private office. Converted garage is an extra bonus! More addtl space for relaxation! 2 story FR w/volume ceilings for great sense of space throughout! Mstr BR w/sitting room & spa-like ensuite bath. 2 sizable BRs share by a newly tiled Jack & Jill bath. 4th BR w/private bath. Huge fenced in yard w/lake views. Amazing location. A must see!" 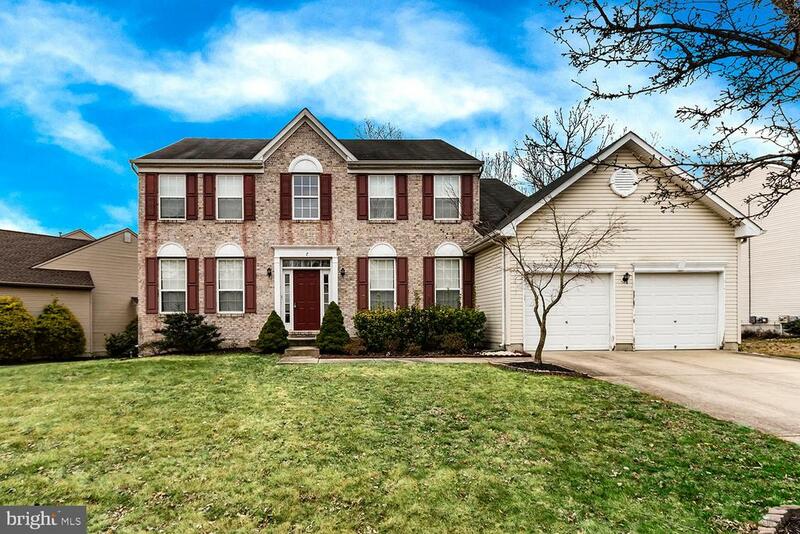 "Immaculate and Grand best describes this Newbury model in the desirable neighborhood of Franklin Estates. This meticulously-maintained home features an open floor plan with 4 bedrooms, 2.5 baths, over 3000 ft. of living space plus a full finished basement, 1st-floor study, family room with gas fireplace that opens to the enormous gourmet kitchen that offers island seating, a breakfast room with sliding glass doors overlooking the manicured fenced rear yard complete with pavers makes this the ultimate home for entertaining! 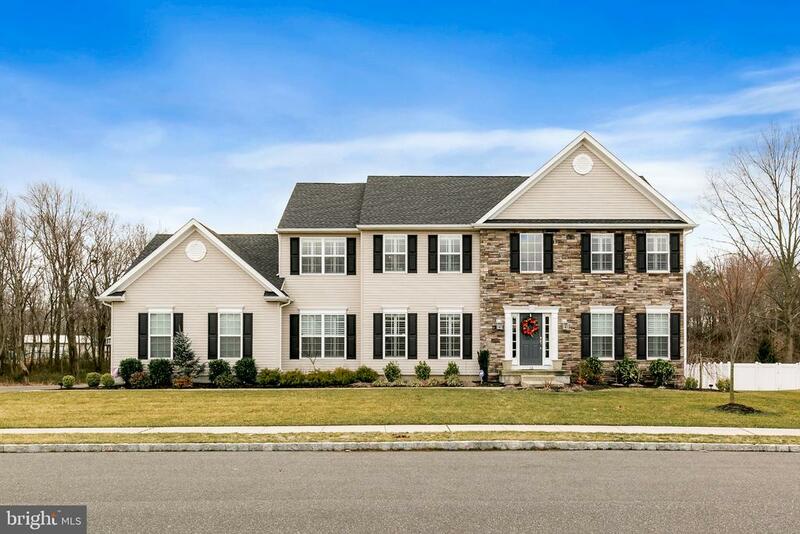 Spacious formal living and dining rooms with crown molding and recessed lighting, convenient upstairs laundry, master bedroom suite with two large walk-in closets, sitting room and a luxurious master bath with soaking tub, stall shower along with double sinks. There are three generous-sized additional bedrooms with tons of closet space and a hall bath with double sinks. Freshly painted gigantic full finished basement with gas fireplace and loads of storage space. This home is a must see!" 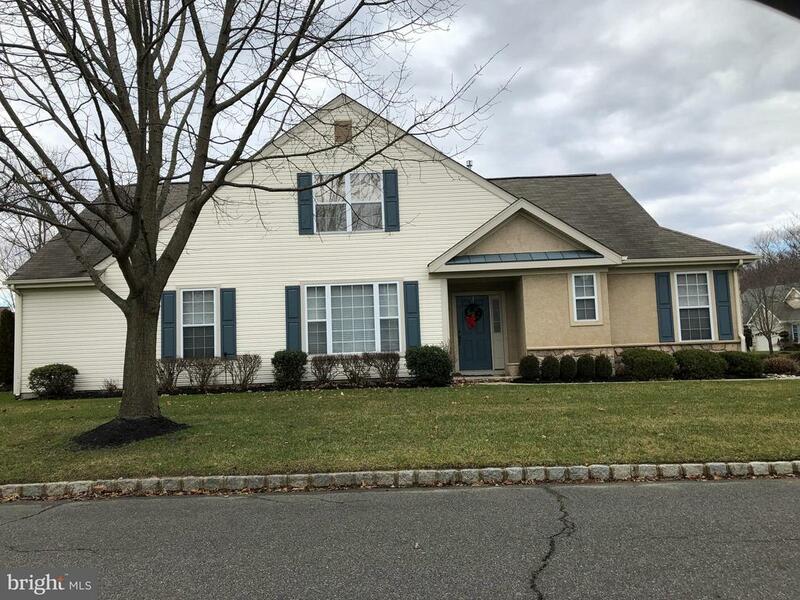 "Absolutely beautiful 4 Bedroom and 2.5 Bath Colonial style home on a quiet street in Haniesport township. This home screams pride of ownership as it has been meticulously maintained in and out by the owners and it shows! The interior of this home offers hardwood flooring, a 2-story foyer that is open to the formal Living room, a 1st floor office also off of the foyer, 9 foot ceilings throughout the first floor, a neutral decor throughout, an open floor plan, a large sunken Family room with large windows and a gas fireplace, a large laundry room that leads to the garage, a huge basement with high ceilings, the dining room is off the kitchen with a upgraded bump out, a huge master suite with vaulted ceilings, a sitting room, walk-in closet, and a large master bath, 3 large bedrooms complete the 2nd floor, and top it all off with a gorgeous kitchen with 42 cabinets, granite counter tops, black appliances, recessed lighting, double windows over the sink looking over the backyard, and a breakfast room with a sliding glass door to the back deck. The exterior of this home offers professional landscaping throughout, low voltage lighting, plush green grass throughout the front and backyards, a paved driveway that leads to a side turned 2-car garage, a fully fenced-in backyard with white vinyl fencing, and huge trex deck with stone walls surrounding it. Don't miss your opportunity to see this wonderful home." "Remarkable home at a remarkable price. New heat, air, hot water & insulator. This spacious, Stratton II model with brick front has plenty of amenities. 9' ceilings on the 1st floor & the lower level. Enter this 2 story foyer with dual staircases & neutral carpeting throughout the living & dining rooms accented by hardwood floor in foyer and family room. Kitchen has 42 kitchen cabinets, large island with seating & laundry room & powder room. Upstairs are 4 bedrooms & 2 baths. On the lower level is a partially finished basement. Amenities include a 2 car garage & large yard. Don't miss this property, it won't last." "Wow! 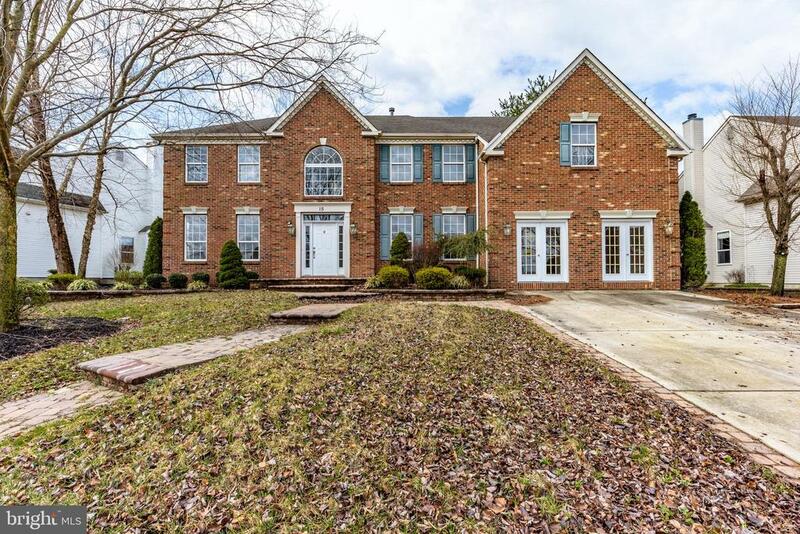 Extremely well kept stately brick rancher on a great lot in the desirable Sage Run development. 3 beds, 2 full baths, 2254 SF with 2 car side entry garage and full unfinished basement with extra high ceilings. Upgrades throughout and open concept living. Bright open space with plenty of sun light. Property has custom hardscaping package, sprinkler system, storage shed and high end metal privacy fence on a big lot. Great floor plan, excellent to enterain with big rooms and high ceilings. Large master bedroom with walk in closet, linen closet and 2nd closet for clothing. Priced to sell, come take a look before its gone!" "Highly desirable Haverford model home built on premium lot with water view. This 2158~ square foot home features 3 bedrooms, 3 baths, 2nd story loft area, 2 car garage. Inside, you will find an enlarged family room with vaulted ceiling, gas fireplace, built in bookshelves and half circle window. The kitchen is complete with upgraded cabinetry in a cherry finish, easy to maintain Pergo flooring, electric stove and oven, built in microwave, and handy center island. The master bedroom and bath are conveniently located on the ground floor with plenty of closet space, half circle window, large shower and soaking tub with whirlpool. You will find the dining room and living room area a bright airy space with the large picture window providing plenty of natural light. A second bedroom and full bath along with generous under stairs storage area are also located on the ground floor. The upstairs loft area offers a quiet area for an office or guests, an additional bedroom, full bath and walk in closet. The property includes a two car garage with attic storage, a patio with water view and retractable awning, an alarm system and an automatic sprinkler system. This home boasts of upgraded features throughout and has a brand new water heater and heating/cooling unit. The neighborhood is friendly and includes homeowner association amenities such as a clubhouse, fitness center, library, billiards, outdoor pool and patio, tennis courts, bocce ball court and shuffleboard court... as well as lawn cutting service and snow removal." "REDUCED! Best value in the Glen at Mason's Creek, Active Adult Community Haverford Model. 3 Bedrooms and a Loft- 2 Car Garage. HVAC and Hot Water Heater new less then 1 year ago. Inground sprinkler system. 1st floor Master suite with cathedral ceilings 2 large reach in closets and a walk in closet . Open floor plan - kitchen with island open the Den which leads out to a tranquil patio with professionally maintained planting for additional privacy. Open living room dining room combo to accommodate all your friends and loved ones for gatherings. 2nd bedroom on main floor and additional full bath. 2 car attached garage conveniently leads to mudroom/laundry room . Upstairs find a light filled loft, full bath and 3rd bedroom with 2 large reach in closets. Enjoy the beautifully remodeled Club House, fitness center Billards, Library -Pool ,Tennis courts, Bocce Courts, Horse shoes as well as planned activities in this resort like community"
"Back on the Market ~~~~~~~~~~~~~ Spacious 3 Bedroom 2 1/2 Bath Town Home in Highly Desirable Creekview. Almost 2,000 sq.ft. of Living Space + a Fully Finished Basement with a Gas Fireplace. Front Door opens to a Large Living Room/Dining Room. Hallway leads to the Family Room with alot of Natural Light + a Gas Fireplace. The adjoining Kitchen is functional with Hardwood Flooring with a Breakfast Room overlooking the Deck & Very Private Backyard. The Finished Basement is Huge with Hi-Hat Ceiling Lights with Neutral Color Paint thruout. Upstairs, the Master Bedroom is Large with a Cathedral Ceiling w/Fan. The Master Bathroom features Tile Floors & a Garden Tub with a separate Shower Area + a Spacious Walk-in Closet. The Laundry Area is on the 2nd Floor for Convenience. Also a 1 Car Garage with Inside Access & a Private Driveway for 2 Cars. This Fine Town Home is just feet away from a Tot Lot Playground & close to Trails & a Lake surrounded by the Natural Beauty of Open Space. 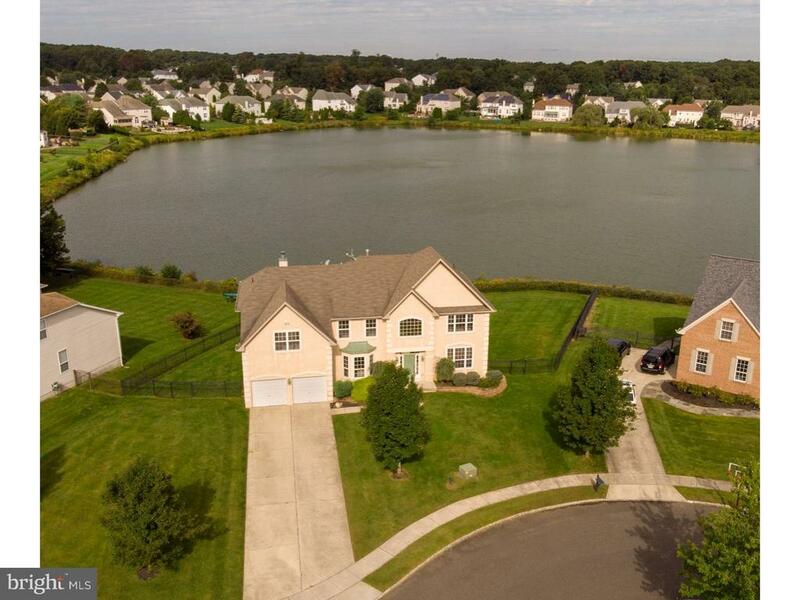 Most Conveniently Located close to Routes 38, 295 & the NJ Turnpike as well as Shopping Centers & More. Available for a 30-60 Day Closing. Move-In Ready. This is an Estate Short Sale with a Law Firm representing the Seller ~~~~ As Is Sale." 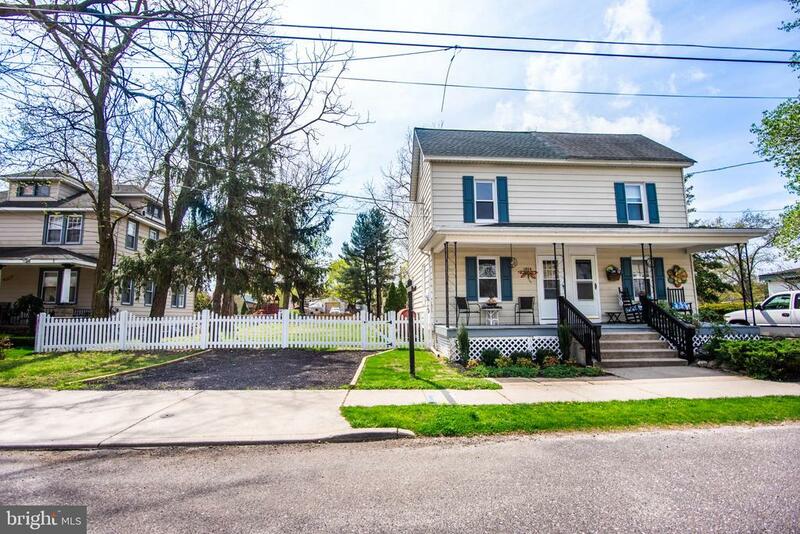 "Welcome to 1614 Edwin Street in desirable Hainesport Township. This bright, spacious, and totally updated home rests on a quiet over-sized lot in a very friendly community. Glistening refinished wood floors, beautiful moldings, replacement windows, and fresh paint can be found throughout. Kitchen boasts granite counters, stunning cabinetry, pendant lighting, stainless appliances, and a sunny eat-in area. Spa-quality bathroom features tiled floors, tiled tub surround, quartz-top vanity, and reclaimed wood accent wall. Basement with bilco doors and built-in shelving provides plenty of additional storage. Fair weather can be enjoyed lounging on the front porch or grilling/entertaining on the very private rear deck. Enormous yard is fully fenced with all day sun for your garden. Double gate with alley access gives ability to securely park your boat, rv, or trailer. Location is minutes from local schools, shopping centers, tasty eateries, and entertainment venues. 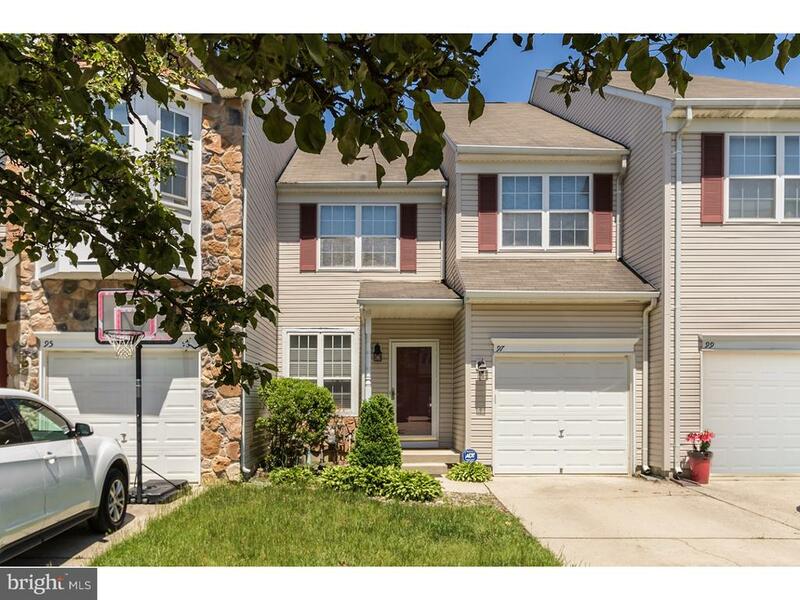 It is also convenient to the areas major commuting routes including 38, 206, 295, 130, NJ Turnpike, and Philly bridges. Make your appointment today!" "Property zoned professional/office/located near the intersection of Mt. Laurel Hainesport Road and Route 38/property has detached garage/porch/3 bedrooms, kitchen, and utility room. contingent on seller finding suitable living quarters"
"REMEMBER THE OLD NEIGHBORHOOD? This home is situated in that type of neighborhood where every one grew up and returns to live. 3 bedroom home being sold by original owner, however, with recent upgrades: reroofed 6 years ago with single layer; new heater and new oil tank (located in the basement) 1 year ago; central air 1 year. Hardwood flooring. 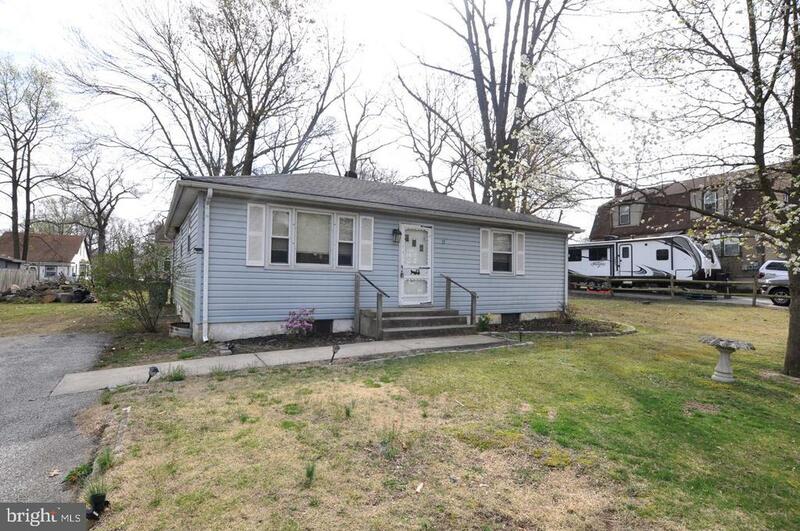 Maintenance free vinyl siding and spacious yard area. ESTATE SALE being sold as is. The perfect place to start!" "Nice sized lot with sewer connection and permit are in place and ready to go. The existing structure could possibly be renovated, or removed to make this a great building lot or project for the serious handyman/contractor. Cash or conventional/construction financing only. Buyer will be responsible for obtaining the Certificate of Occupancy." "Great location and perfect opportunity with this Rancher located in a secluded section of Claremont. This 2 bedroom 1 bath home has an updated kitchen with stone counter tops and under mount stainless steel sink. Spacious floor plan with ample sized living room and basement space for plenty of storage. Attic has easy access for extra storage as well. Exit out the back yard to a long lot with many possibilities including the dream garden with plenty of sunlight. Come see this cute little gem today. Buyer responsible for certs & C.O. prior to close."